Allt a Bhainne is a large distillery in Speyside and is owned by Chivas Regal. Despite its large capacity it is rarely seen in single malt form. Independent bottlings such as this are the only way to find it. This example has been entirely matured in refill sherry hogsheads and has a typically light but malty flavour profile. 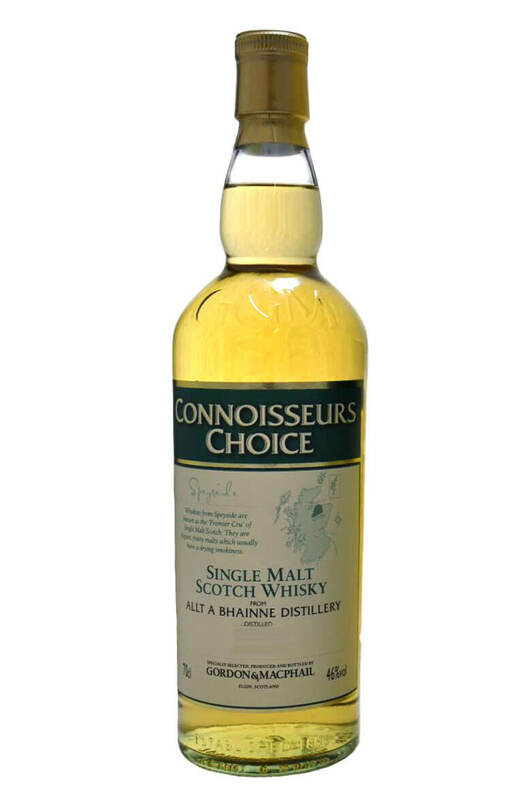 Aromas (with water) Fresh fruit and toasted malt aromas, with lemonade and a subtle floral edge. Aromas (without water) Fresh and fruity with hints of green pear and apple. Toasted malt with a subtle almond nuttiness. Palate (with water) White pepper with hints of melon and grapefruit. Salty with a sweet orange edge. Palate (without water) Peppery initially with a sweet citrus fruit edge and milk chocolate. Types of Barrel used for Aging Refill sherry hogsheads.